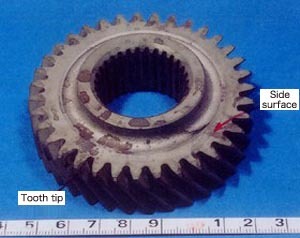 Rust is produced during the gear manufacturing process. A relationship with the cleaning solution used during this process was examined. 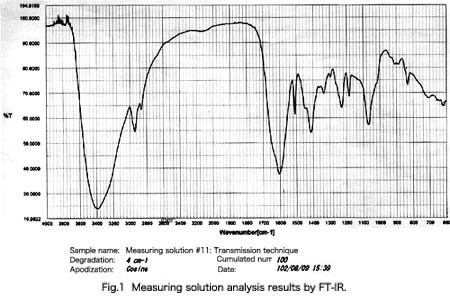 The cleaning solution was concentrated and analyzed via transmission technique with the FT-IR microscope. 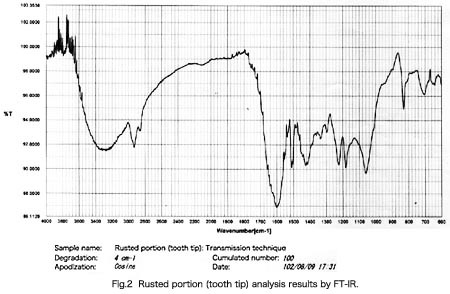 The location of all infrared absorption bands for organic material in the rusted gear portions (tooth tips, side surfaces) were matched up with infrared absorption bands of the cleaning solution. Inorganic parts were analyzed with energy dispersive X-ray analysis, and the same elements were detected.